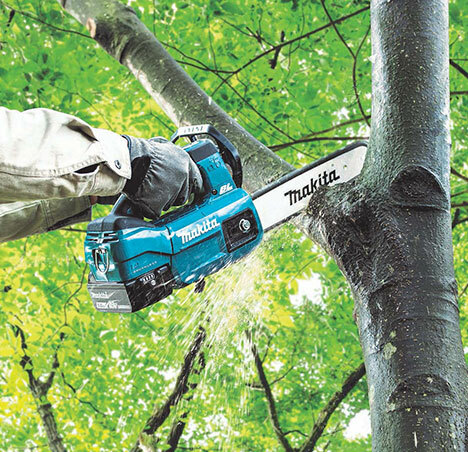 Makita chainsaws have gained a high reputation amongst forestry professionals with models that are renowned for power, performance, rugged reliability and value. The new Makita DUC254Z 18V Brushless Top Handle Chainsaw LXT is no exception. With a single 18V Lithium-Ion battery it generates a 570 watt output providing ample power to run the 3/8th inch chain over the 25cm bar at up to 24 metres per second matching the performance of a petrol machine. The Brushless motor ensures longer runtime, substantially greater power and lower maintenance.